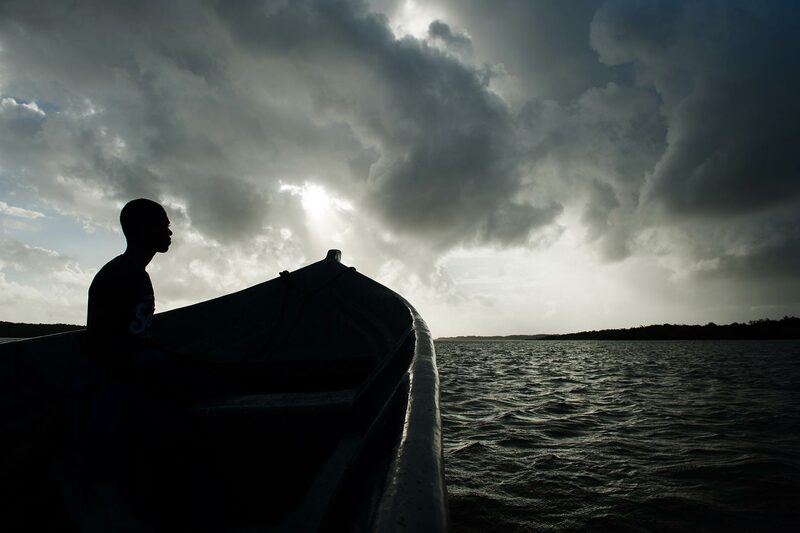 A boat headed to Bangkukuk in the autonomous indigenous area on the eastern coast of Nicaragua hits rough waters, February 24, 2015. 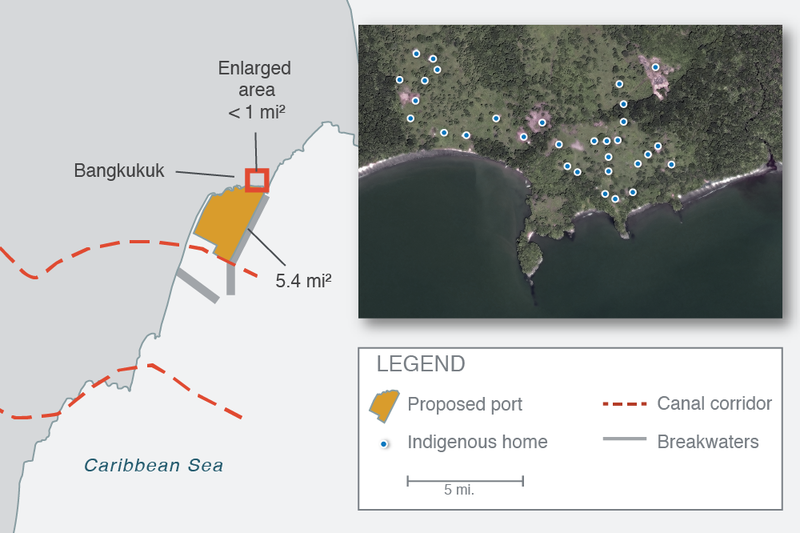 Part four of a five-part series examining the impact of the Nicaragua canal. The president of this remote indigenous village on the Atlantic Coast of Nicaragua has just returned from planting beans in the fields. Though casually dressed in a fresh white undershirt and jeans, it is clear he is deeply worried. 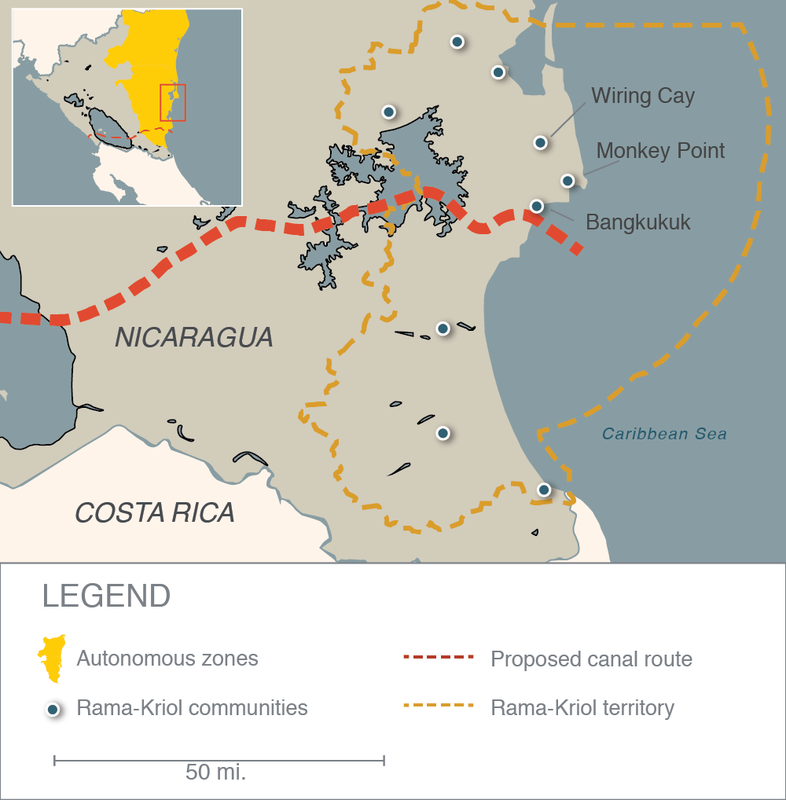 This destruction, according to Wilson, would be the price Bangkukuk pays for the Nicaraguan canal, a $50 billion infrastructure project that would compete with the Panama Canal and allow passage of enormous container ships that can individually carry cargo equivalent to more than 12,000 tractor-trailers. 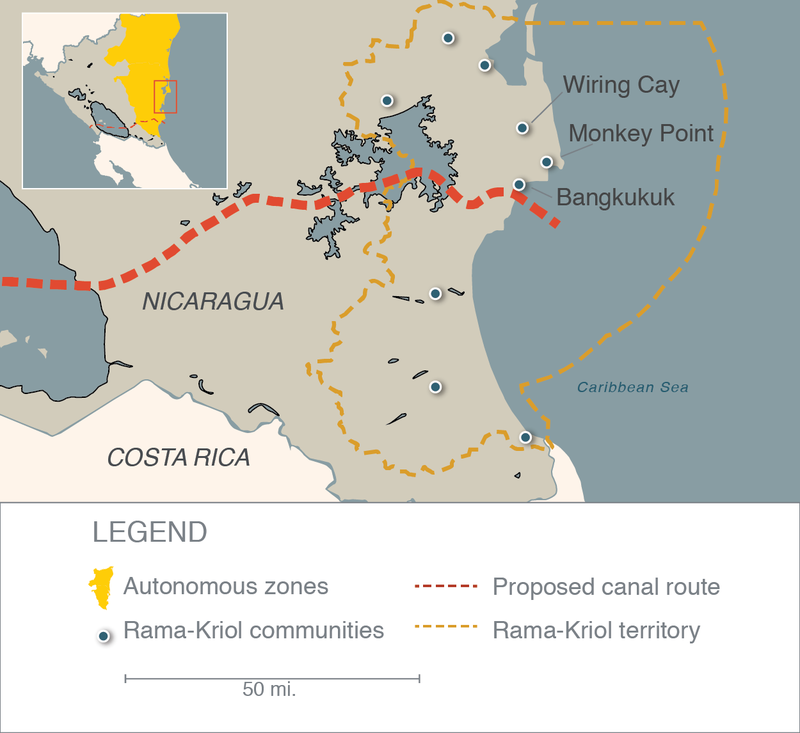 According to HKND, the Chinese holding company granted a 50-year concession by the Nicaraguan government to build the canal and its related projects, the 172-mile route will start along the Pacific shoreline in Brito, cut through Lake Nicaragua and the interior of the country, and cross autonomous indigenous territory before meeting the Atlantic Ocean at Punta Gorda, just south of Bangkukuk Taik. A deep-water port will be constructed in Bangkukuk that extends into the neighboring communities of Monkey Point and Wiring Cay. 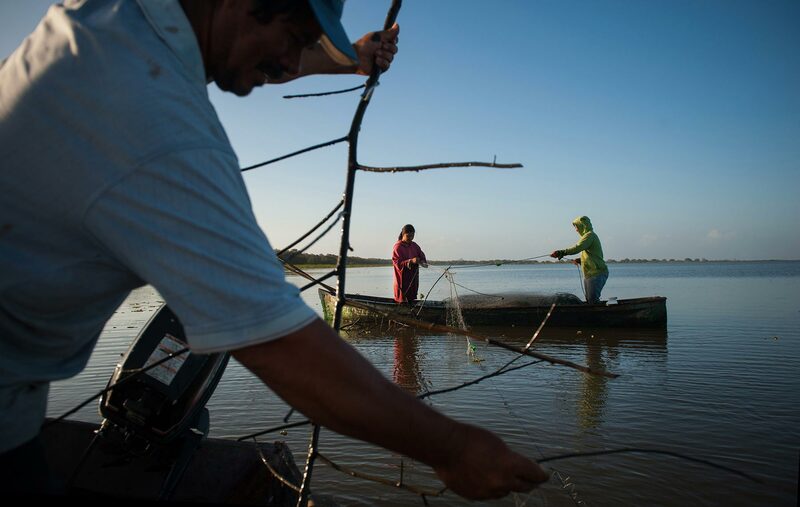 After it crosses Lake Nicaragua, the canal will pass just south of the small fishing community of San Miguelito. The original route was adjusted to avoid destroying the protected San Miguelito wetlands as well as to bypass the town of El Tule, where peasants and police clashed during canal protests in December. 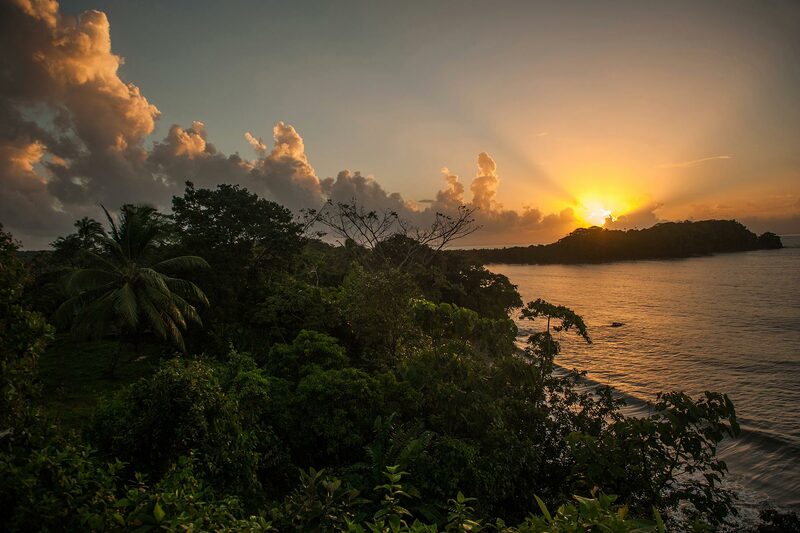 Bangkukuk Taik (as it’s known in Rama, Punta Águila is its Spanish name) is one of nine indigenous and Afrodescendent communities that make up Nicaragua’s Rama-Kriol Territory. 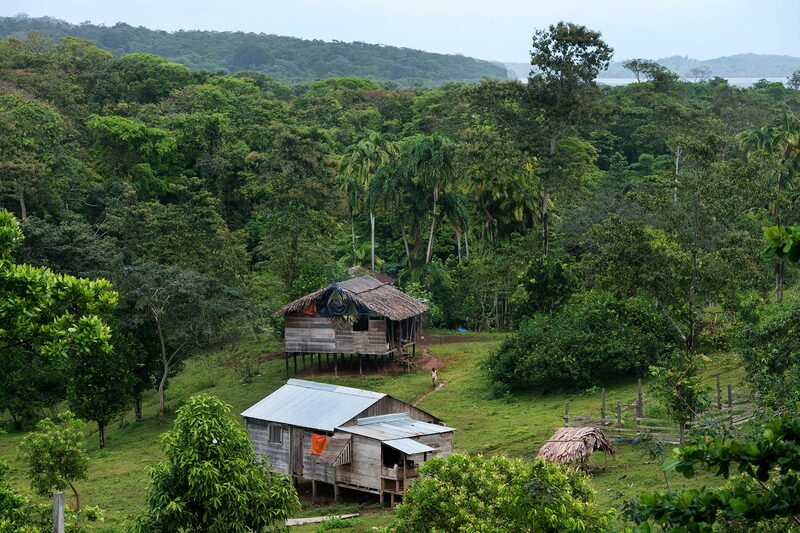 Its 140 residents (according to a mid-2000s census) live entirely off the land — hunting, fishing and farming yucca, bananas, sugar cane, beans, corn and other crops. They use wood from their trees to construct their homes and canoes. There are no cars, paved roads, running water, stores, or Internet. While Creole English is the common language, residents also speak some Spanish, and the village is home to the last fluent speakers of the Rama language. 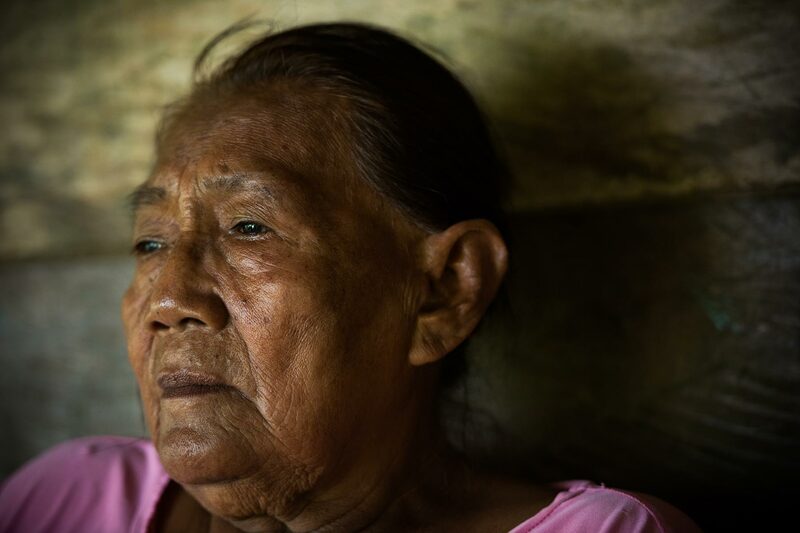 For decades the Rama have been threatened by the eastern migration of the mestizos, Nicaragua’s majority ethnicity, who have been cutting down forests in the indigenous territory to build cattle ranches. Now the Rama worry this new threat — what the president of Bangkukuk called “the millionaire monster” — will force Rama people off the little land they have left, and scatter the last remaining speakers of their traditional language. 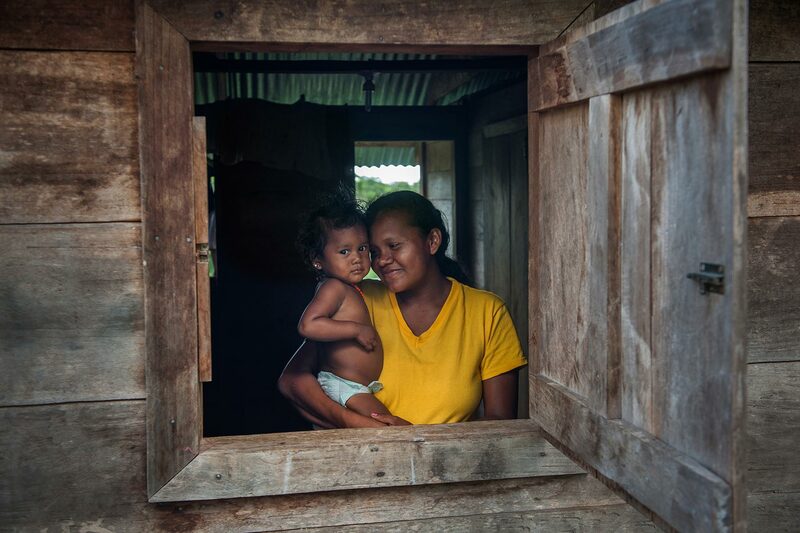 In the wake of the Sandinista Revolution, Nicaraguan officials designated more than half of the country for indigenous peoples, but since then, cattle ranchers and other migrants have encroached on the their lands. This January 2015 letter from the Nicaraguan attorney general to the president of the Rama-Kriol Territorial Government seeks a permanent lease for the canal and sub-projects, and says land will not be confiscated. The Rama-Kriol Territorial Government submitted these requirements to the central government of Nicaragua defining how the canal consultation must be done within their indigenous territory. According to a complaint filed in June 2014 to the Inter-American Commission on Human Rights by indigenous governments of Nicaragua's South Atlantic Autonomous Region (RAAS), 40 percent of the proposed route passes through indigenous and Afrodescendent territory. Yet these communities were never consulted before the concession law was passed. A thin, muddy trail winds its way up past the old one-room schoolhouse, where a small boy pees off the front porch. The path continues past a traditional wood home, where a mother prepares a lunch of boiled plantains and homemade cheese, to a breathtaking lookout point that peers out over the sandy beach and sea. Planted into the ground high up here is a square concrete marker. Residents say it’s one of two that Chinese workers installed in Bangkukuk while taking measurements for the canal. They’re not sure exactly what it measures or means. “We never get no kind of information about what taking place,” said Wilson. When HKND representatives visited Bangkukuk in December, he said they told residents nobody would be relocated. But then there was talk of the port here in Bangkukuk. The simple, rectangular wood homes in Bangkukuk are sturdy with thatched or corrugated metal roofs. Inside, the few possessions are tidily arranged: a shelf of clothes, some pots, a hammock, a toothbrush, three plastic stackable chairs, a few plates. 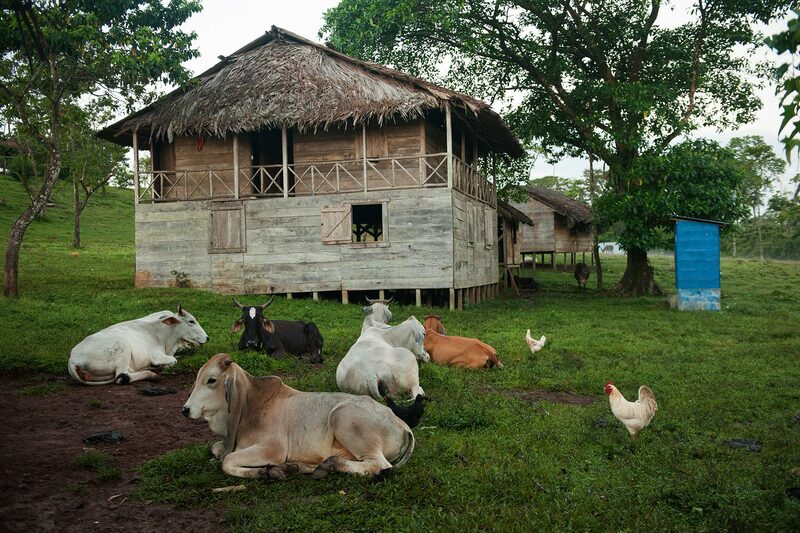 The homes rest on stilts that create a shady nook for pigs, chickens, roosters and dogs to nap. 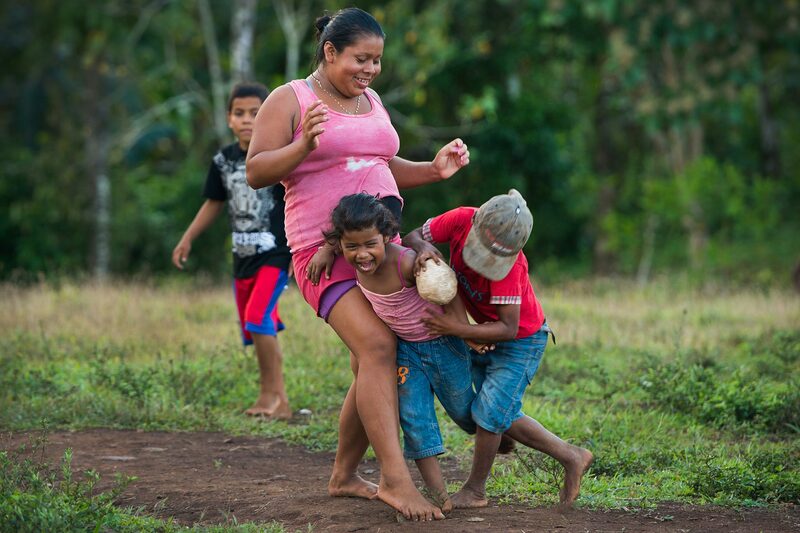 Women and children gather in the afternoon for a lively game of baseball with a makeshift bat and ball. A diapered toddler joins the excitement, running happily among the players. But amid the free-roaming animals and lilting Creole and children’s laughter is also damning evidence of an entire region long neglected. More than half the population in the rural areas of the Caribbean coast are illiterate (compared to a quarter of the country as a whole), and three-quarters live in poverty or extreme poverty, according to the Foundation for the Autonomy and Development of the Atlantic Coast of Nicaragua. The nonprofit estimates as much as 80 percent of average salaries along the coast are used to purchase food. Bangkukuk residents are concerned that they will lose their bucolic way of life if the proposed canal project becomes a reality. The sun rises over a Caribbean island off Bangkukuk’s shore. If the canal is built, there will be a dramatic increase in the shipping activity in the local waters. 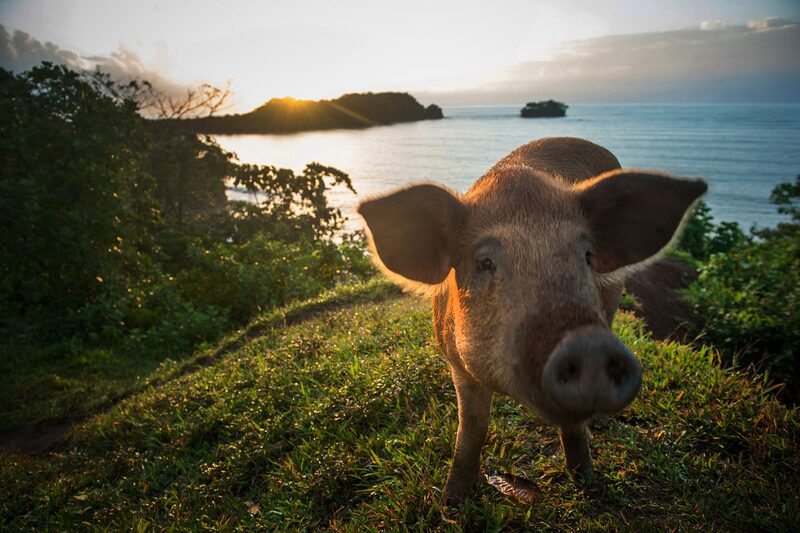 A pig explores a cliff overlooking the sea. Women and children of Bangkukuk regularly play stickball in an open field in the village while the men of the village are away during the day. Poor infrastructure is endemic: According to a 2011 World Bank analysis of the autonomous region, the Caribbean Coast makes up 46 percent of the country’s national territory but contains only 8 percent of its roads. While Rama make up only about 2 percent of the region’s population, the report also states that 100 percent of Rama youth face chronic malnutrition. Ortiz says he has not yet come out in favor or against the canal. He wants first to see the central government respect the indigenous communities and explain every detail of the project, so the Rama-Kriol people can negotiate a fair settlement. Benjamin, one of last Rama speakers, grew up speaking the language at home. Rama is a nearly dead language that belongs to the Chibchan family of languages of Central America and Colombia. According to Barbara Assadi, an ethnolinguist with the Rama Language Project, about 20 fluent speakers remain and all but one or two live in Bangkukuk. The youngest speaker is in his late 30s. In the late 2000s the Rama Language Project began workshops to revitalize the language and teach it to future generations, but with limited success. "When a language is gone it's pretty much gone," Assadi said. "So it was really difficult for us to explain to them [that] we can help you grow back some of your language – you can use it a little, you can write songs in it – but you’re probably not going to use it to carry out your lives on a daily basis." Bangkukuk elder Pedro McCrea discusses the Nicaraguan canal project in his Rama language. TRANSLATION: "I am here today as a Rama man to tell you what we see coming. This project will be a huge problem for us. This will take away our, our shrimp, our fish, our land, and we will lose our native language, Rama. This place is our identity, and it and we will all be gone. "How we live now, we only have a small piece of where we used to live and work left, but we are able to plant, fish, raise animals, hunt, and travel about as we please. And it is so we work and live. I don't know where we would go if this big project comes. I don't see this as anything good. Maybe I will die before I see what comes of all of this, or maybe it will be for my grandchildren to see." “Don Pedro” McCrea is one of the six remaining speakers Benjamin mentions. As the cacique, a chief elder of sorts, the unofficial last word in Bangkukuk rests with him. He tells of how the contras captured him during the war, accused him of being a Sandinista and tied him up in the bush. He escaped at night, he said. He survived Hurricane Joan in 1988, which pounded Nicaragua's Atlantic Coast. “War, hurricane, I stay right here in Bangkukuk with all my children,” said McCrea. He speaks of the mestizo people that have taken over swathes of the indigenous territory, killing one of his sons during a dispute in the bush a couple years ago. Most of Nicaragua’s indigenous peoples were conquered by the Spaniards in the 16th Century, but not the Atlantic Coast, which today is home to mestizos, Miskitos, Creoles, Garífunas, Ulwas and Ramas. It is legally autonomous, governed by communal and regional indigenous councils. 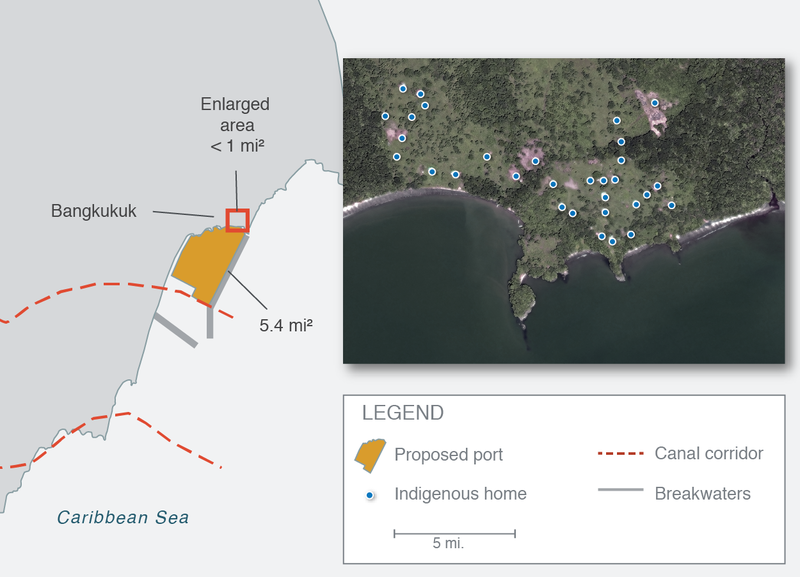 In its project description documents, HKND proposes building a 5.4-square-mile port adjacent to Bangkukuk, including a wharf and berthing facilities nearly a mile long. Source: Satellite imagery courtesy Digital Globe. Port diagram from HKND project description, December 2014. Note: Not all homes in Bangkukuk are visible in satellite image. The Nicaraguan government began the consultation process in December. It contends it did not reach out to the communities earlier as it wanted to see the decided route to know which specific authorities to address. Johnny Hodgson, regional FSLN secretary and a presidential delegate for the South Caribbean, told Al Jazeera he could not comment on the status of the consultation until it is completed. However some insight can be gleaned from the letter Nicaragua’s Attorney General Hernan Estrada sent to GTR-K President Hector Thomas Mcrea dated January 27, 2015. The letter references Law 445, quoting Art. 24 in which the state recognizes the indigenous and Afrodescendent communities’ rights over traditional lands and guarantees their protection. But members of the GTR-K have been dissatisfied with the consultation process from the beginning. In December 2014 they drafted a protocol, or lineamiento, that outlines how the canal consultation must be carried out with the indigenous communities in the territory. For prior and informed consent, the protocol requires the consultation be open to all members and communal and territorial authorities, that it is culturally and linguistically appropriate, and technical assistance is provided to help the communities where education is limited. An independent international observer must also ensure the process is done in good faith. Rupert Allen Clair Duncan, a Rama-Kriol government leader in nearby Bluefields, says the protocol has been ignored, and that the government is rushing the consultation and trying to manipulate certain leaders. 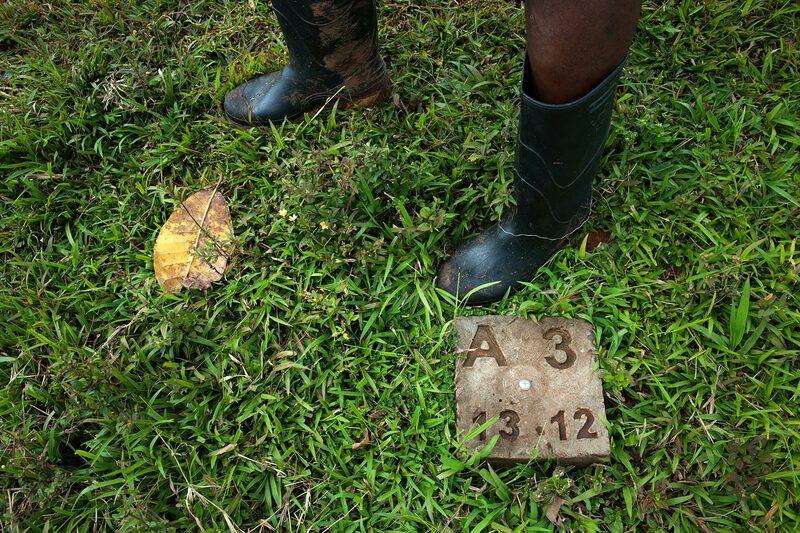 When the roosters make their noisy rise each morning, so does Edwin McCrea, who gets his boots and machete and sets off on a 45-minute hike through the rainforest to the plantation where he grows yucca and bananas. But protecting this land and all the animals in it is getting harder every year. A commission from the Nicaragua government is due to arrive soon in Bangkukuk to continue the consultation with the community. They’ll have a lot of explaining to do. McCrea believes the people who support the canal project are motivated by money, but they’re missing the big picture — the need to protect Indian rights, the flora and fauna, and the land that should be destined for Rama children. Back in the town, confusion, anger and paranoia about the canal project is at a high ahead of the government visit. Some residents refuse to give their name, fearing any outsiders are representatives from the canal trying to use their names to prove consent to the project. Over at the schoolhouse, a Rama woman becomes livid when the canal issue is raised. “We Indian no want a canal,” she said, clutching a bamboo walking stick. 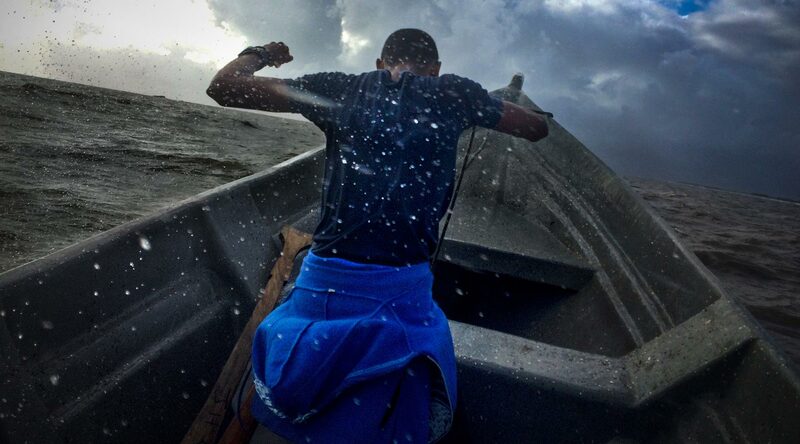 “When Daniel [Ortega, Nicaragua’s president] take we and throw we out, where we going? … Daniel take the money and pocket it and run. And then we stay and suffer." © 2015 Al Jazeera America, LLC. All rights reserved. CHANGE THE WAY YOU LOOK AT NEWS and THERE'S MORE TO IT are Trademarks of Al Jazeera America, LLC.